Cities worldwide will see unprecedented growth in the coming decades–an opportunity for ensuring development of safe streets and livable cities. Photo by Mariana Gil/Flickr. In cities worldwide, millions of people step out their homes every day to go to work, to attend school, to see a doctor, or to visit family and friends. However, in many of these cities, commuting is becoming increasingly difficult and unsafe. Traffic crashes kill almost 1.3 million people every year, and about half occur in cities. Our world is undergoing an unprecedented transformation. By 2050, we will add 2.5 billion people to cities. This is like building 290 cities the size of London in 35 years. Current models of urbanization are unable to meet this immense challenge and sustainably accommodate so many people in a safe environment. But there is also opportunity to make cities more livable, sustainable places. 75 percent of the infrastructure that will exist in cities in 2050 has yet to be built. How we approach development now will have a significant impact on how safe our cities are in the future. With just 3 deaths per 100,000 people, Sweden is demonstrating that the Vision Zero approach is effective and key to improving traffic safety globally. With so much infrastructure not yet built, it’s critical that city leaders prioritize development that is compact and centered on sustainable mobility. Doing so will ensure safe roads for billions of people. For example, compact urban development can help ensure safer roads. Research has shown that for every increase in density of 100 people per square mile, there is a 6 percent reduction in injury-causing crashes. Higher levels of density are also linked to higher walking and mass transit rates, as well as lower car use. Another way to make roads safer is to design narrow arterial streets and short city blocks. Each additional meter at a crosswalk increases the risk of pedestrian crashes by 6 percent, and adding a lane for cars is associated with a 17 percent increase in fatalities. Because long blocks encourage pedestrians to cross in unprotected areas halfway down the street, shorter blocks should be a standard. 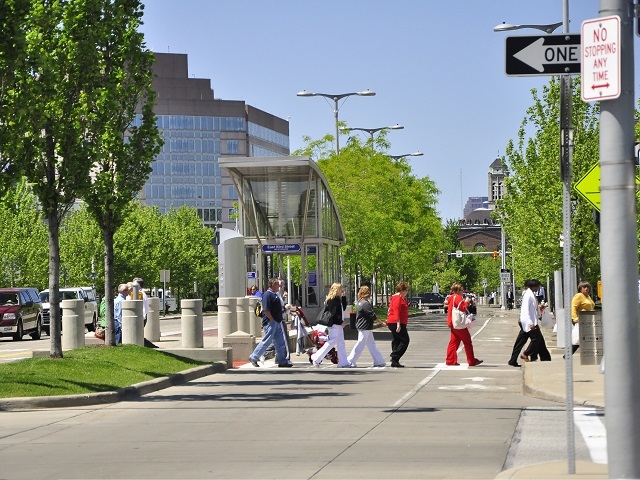 Third, investing in mass transit can reduce the risk of traffic fatalities. Urban sprawl increases the distance between people and their destinations, making biking, walking, and traveling by mass transit more difficult. In many rapidly growing cities, residents often turn to motorcycles as an affordable solution to their mobility needs. However, motorcycles have caused an alarming increase in the number of traffic fatalities and injuries worldwide. An efficient, complete mass transit system can shift people to more sustainable transport and improve road safety. Rejecting the idea that traffic deaths and injuries are simply the product of our mobility needs, Vision Zero challenges cities worldwide to bring traffic fatalities down to zero. The rapid pace of development over the coming decades presents an opportunity to design our cities and roads for safety. But how can Vision Zero become a global reality? Shared Responsibility – Decision makers who influence street design should be considered responsible for road safety outcomes. In many rapidly growing cities, there is a vast gap of knowledge as well as a resistance to the idea that city leaders can affect road safety. Talking about road safety in terms of shared responsibility is therefore critical. A Comprehensive, Sustained Approach. Working across sectors, setting up ambitious short- and long-term targets, and monitoring targets transparently is crucial. Traffic safety will not improve overnight, and there needs to be continuous evaluation of policies and programs. Leadership. Leadership and passion are absolutely critical to bring together various stakeholders from finance, transport, urban development, and health at national and local levels. There has been progress. In its first five years, the UN Decade of Action for Road Safety has been able to successfully raise awareness about road safety. This week, participants at the Towards Zero Conference in Gothenburg, Sweden will convene to discuss strategies for acting on the Vision Zero initiative. Furthermore, the forthcoming Sustainable Development Goals will address road safety for the first time in history by establishing indicators for traffic safety and livability. All of this shows that we are at a tipping point. Decisions about how we design our cities and the choices we make about mobility have considerable potential to shape the livability and safety of our cities. Shifting away from private cars to mass transport in a compact environment is imperative for acting on Vision Zero and making our cities and roads safer for all.